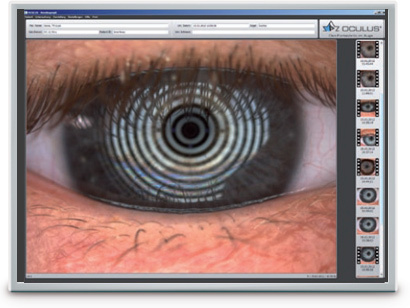 Oculus Keratograph 5M - Corneal Topography - Keratometer | Blue River Medical, Inc. 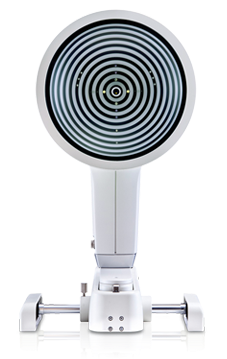 The OCULUS Keratograph 5M is an advanced corneal topographer with a built-in real keratometer and a color camera optimized for external imaging. 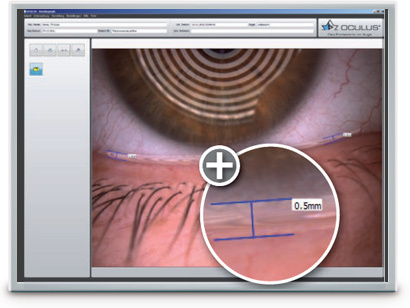 Unique features include examining the meibomian glands, non-invasive tear film break-up time and the tear meniscus height measurement and evaluating the lipid layer. 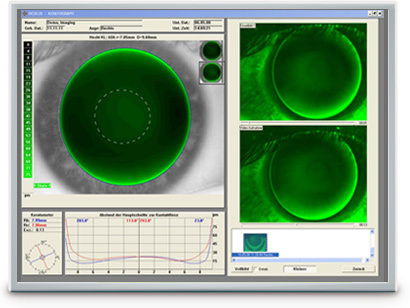 The high-resolution color camera and the integrated magnification changer offer a new perspective to the tear film assessment procedure. 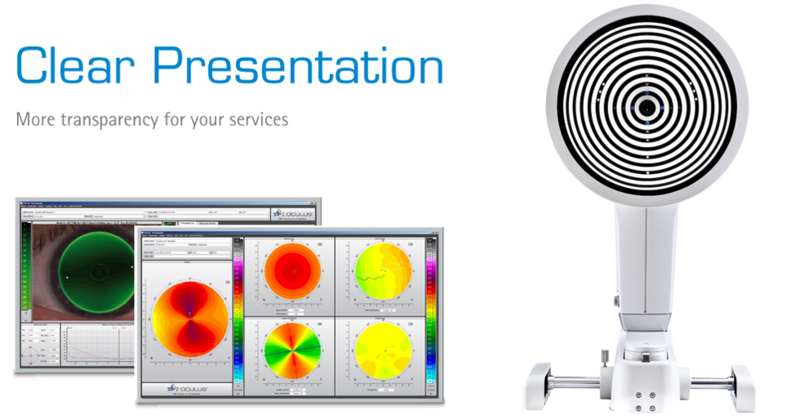 In addition to these unique features, the Keratograph 5M precisely measures corneal topography. The built-in real Keratometer and the automatic measurement activation guarantee perfect reproducibility of the Ks. The data from the non-contact measurement is automatically analyzed and shown in comprehensive presentation formats. 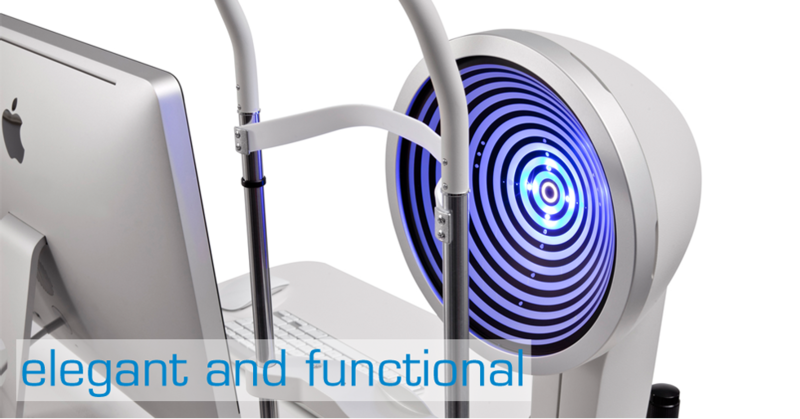 Actively integrate the Keratograph 5M into your practice as a patient consultation tool. With many visual maps and easy to understand diagrams, the Keratograph 5M enhances the communication with your patients. 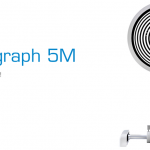 Use your Keratograph 5M as a marketing tool and gain your patients’ confidence. 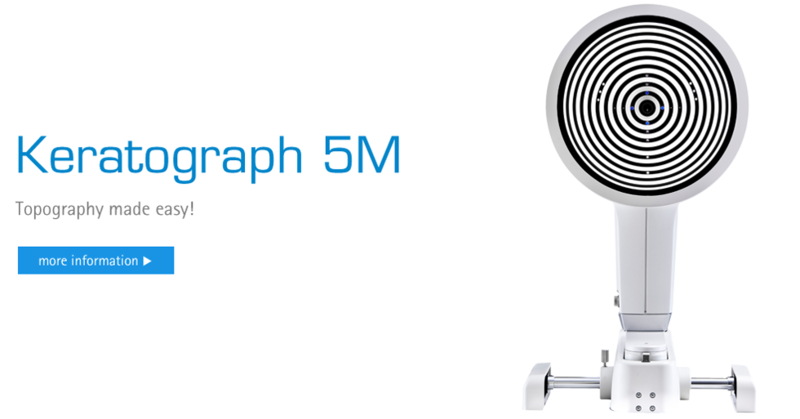 With the Keratograph 5M, you can show your patients images they have never seen before. Gain patient trust by providing professional consultation during examinations and follow-ups. Actively integrate the Keratograph into your consultation. Many easy to understand displays support you in communication and patient education. 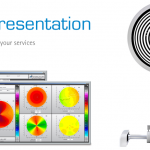 Use your Keratograph 5M as a marketing tool to make your services transparent! 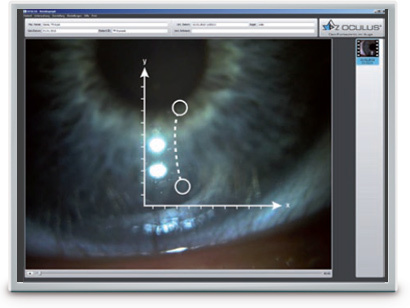 With the TF-Scan software, you can analyze and document the tear film break up time and share the results with your patients. Let images and videos speak for themselves during your consultation — this creates a strong physician/patient relationship. 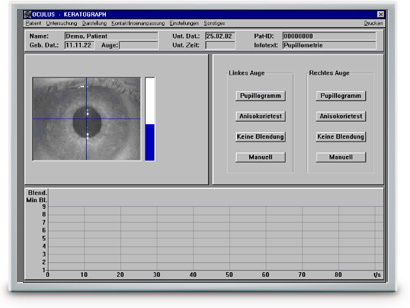 The multi-functionality of the new Keratograph 5M enables even difficult examinations, such as Meibography, to be integrated with ease and efficiency into routine ophthalmological and optometric check-ups. A dysfunction of the Meibom glands is the most common cause of Dry Eye. The associated morphological changes in the glandular tissue can be made visible with the Meibo-Scan. An intact tear film and a good supply of oxygen to the cornea are an absolute necessity for wearing contact lenses comfortably. 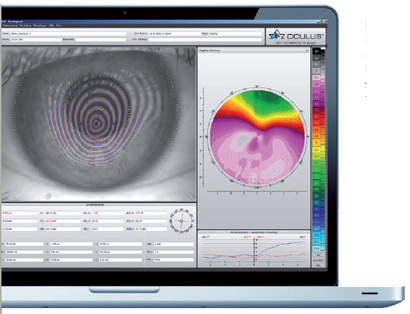 The OxiMap® presents a color map of the oxygen transmissibility of soft contact lenses based on the lens power – which even your customers will understand! 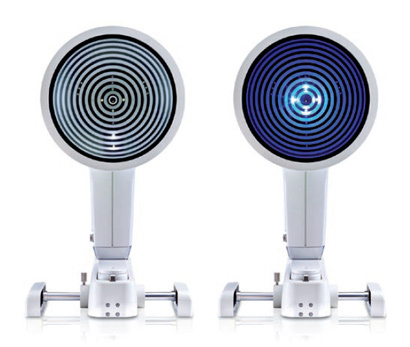 The perfect illumination has been integrated for every function of the Keratograph 5M: White diodes for the tear film dynamics, blue diodes for fluo-images, infrared diodes for Meibography. The tear film is assessed using either white or infrared illumination. The new high-resolution color camera makes even the finest of structures visible. In addition to NIKBUT (Non-Invasive Keratograph Break-Up Time) and measurement of the meniscus tear, the TF-Scan can also make an assessment of the lipid layer and the tear film dynamics. 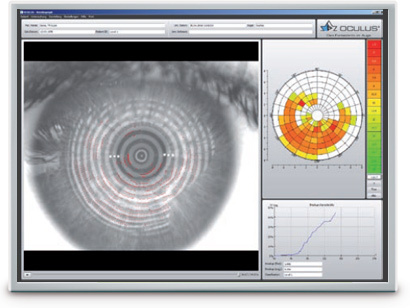 Tear film analysis with the OCULUS Keratograph 5 M is non-invasive and is conducted without any additional tools. The tear film break-up time is measured non-invasively and fully automatically. The new infrared illumination is not visible to the human eye. This prevents glare during the examination. The TF-scan presents the results in a way that is easy for you and your customers to understand. options, and its development along the edge of the bottom lid can be assessed. The results are saved to the patient file. 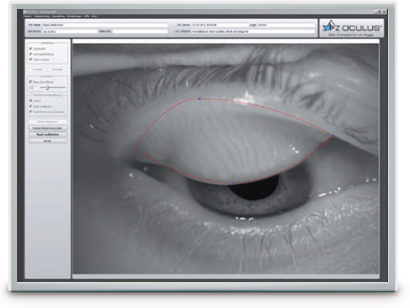 Here you will find all the latest media concerning the Oculus Keratograph with analysis of the Anterior Segment and dry eye. 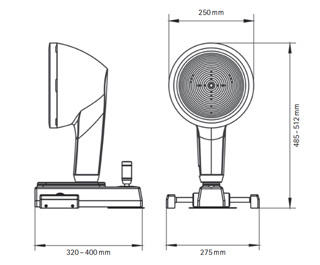 Here you will find all the information needed to operate the Keratograph 5M. 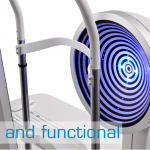 BlueRivMed support offers a free in-office demo or installation of the Oculus Keratograph 5M in numerous areas of the world. Please contact us to schedule a demo to see the Keratograph in action. It’s free, and without obligation.